When it comes to singers venturing to other music genres, I support them. Why? Because it’s good to see how versatile they are as artists and to see if they are actually capable of making it in an unknown territory. However, when it comes to one of my favorite artists ever, Kid Cudi, it is no surprise that he wanted to do an alternative album project. Any real Kid Cudi fan can tell you from the beginning that the guy was different from any other rapper. Does anyone remember “Man On The Moon” lyrics when Cudi says how people would come up to him asking him why his music sounded so different? So yes, I was excited to see how this new music venture would turn out. With the help of producer Dot Da Genius, the man behind the production of Cudi’s “Day N Nite“, both under the band name WZRD released the album under the same name, and let me tell you, is exactly what any Cudi fan would want. Unlike Lil Wayne’s rock album, “Rebirth“, that was heavily auto-tuned, and just not good, at least I can say that WZRD feels as true as Cudi himself. It doesn’t feel like Kid Cudi is trying to put elements of rock into hip-hop or hip-hop into rock, in fact, Cudi is an artist that all along his career has tried to embrace change in sound, and not just stick to hip-hop, and for that props to him. 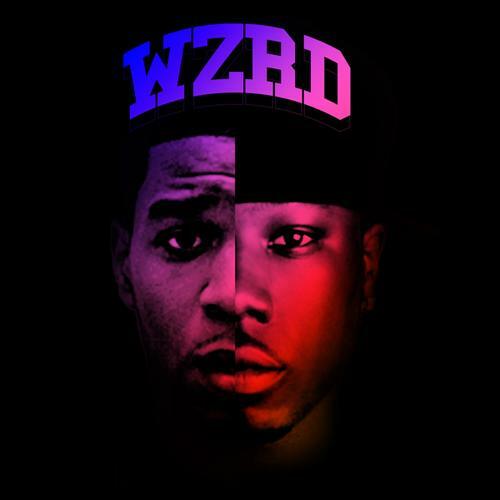 The album features Kid Cudi playing the guitar, and going off-key at times, but all within this whole sense of making the project as original as he can, with the help of Dot’s great production, making every beat perfect. However, it could have been better, while Cudi has always been the type of artist to let his feelings out on a record, call it melodramatic, I call it honest, not that many artists can try out other genres of music and still keep that same connection with the listener. Since we’re talking about connections, this album for Kid Cudi fans is perfect and somewhat what we expected (it could have been better lyrically), but for someone who has never listened to Kid Cudi besides “Day N Nite” or “Memories“, you won’t like this album as much. There are some songs that definitely caught my attention, especially “Teleport 2 Me, Jamie” in which Cudi and Dot are featured by Desire, whose sample of her original song “Under Your Spell” is used in the single, and it’s by far to me the highlight of the album. Along with “Teleport 2 Me, Jamie“, some other songs that stand out are “The Dream Time Machine” and “Upper Room“, both gave me that kind of Man on The Moon feeling and it would seem as they would fit perfectly in Cudi’s album trilogy. 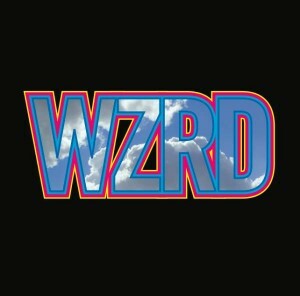 WZRD debuted at #3 in the Billboard charts with 66,000 copies sold, without a single released or video, and even Kid Cudi’s record label didn’t expect the album to do well, only sending 55,000 copies of the album to record stores to which Cudi complained on his Twitter account. Nevertheless, this is great news for both Cudi and Dot, because their endeavors as an alternative music duo have not been overlooked. While I do feel that lyrically the album could have been better, I have to clap for both Dot and Cudi for putting this album together, not caring about corporate control and underperform in the charts, but the people who will enjoy as much as them, the fans. With this album being released, all I know is that I can’t wait for Man on The Moon III, now that shall be epic in all of it’s proportions. Buy WZRD by WZRD through our TYF Store by clicking here!